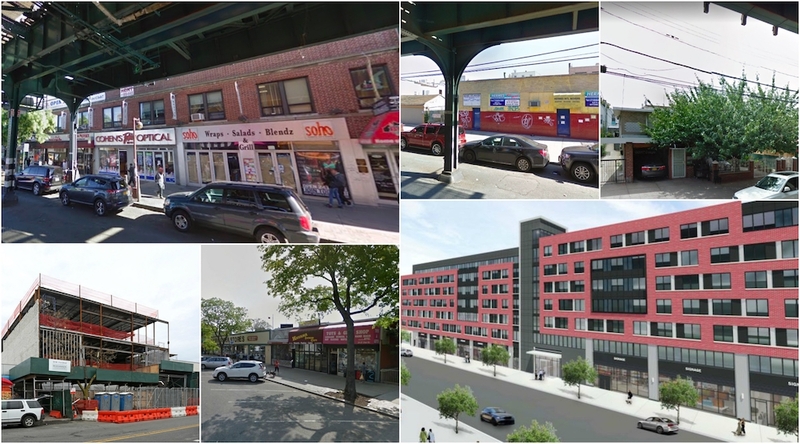 A lot has been happening on 31st Street over the past year or so—most recently we got the news about the arrival of Target and Marshalls to 31st Street near Ditmars. We thought this would be a good time to round up the news and information we’re aware of regarding changes of this major thoroughfare and share it with you in one spot. If you have intel we missed, send us an email or leave a comment. Last week the news broke that Target is moving into Astoria, bringing one of its small-format stores into a new building on 31st Street. At that point, the exact location was a mystery, but the Queens Gazette reports that Target will make its home in a new building planned in place of a two-story strip of shops—Subway, the news/lottery shop Kapil, a nail salon that closed, Dragon & Phoenix, Cohen’s Optical, the space that was home to Soho; The Rock and an attorney are on the second floor. 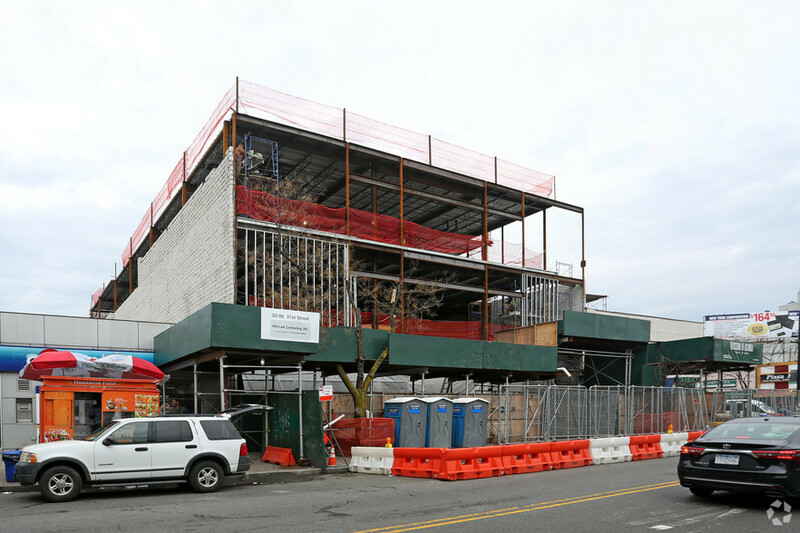 The building at 22-06 31st Street, most recently a CVS, was demolished in 2016 and a new building is going up in its place. 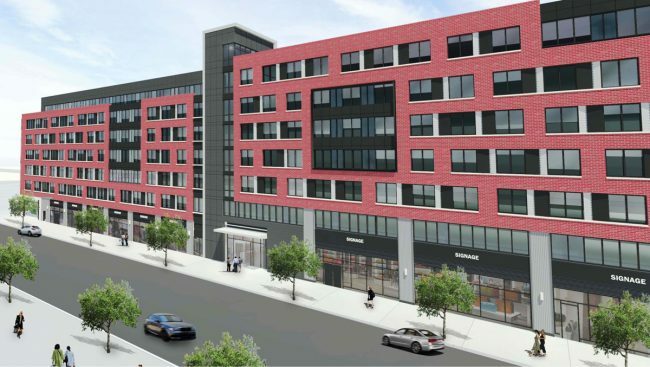 The Queens Gazette reports, “Officials at discount retailer, Marshalls, have agreed to lease a portion of a building under construction at 22-06 31st Street in Astoria, according to a spokesperson for A&H Acquisitions. A&H is partnering in the development of a commercial building at the site, the spokesperson said.” According to Jenel Management, the building is currently 77.3% leased at this time. This building is going to be three stories, so Marshalls can take one floor; assuming The Rock (or another gym) takes another of the floors; so that leaves a third floor for the taking. It will be interesting to see what ends up there (another CVS?). The arrival of two big box stores, even in their smaller sizes, is a huge change for the area. People plain like low prices, and many will likely flock to the new stores. So who will be affected? 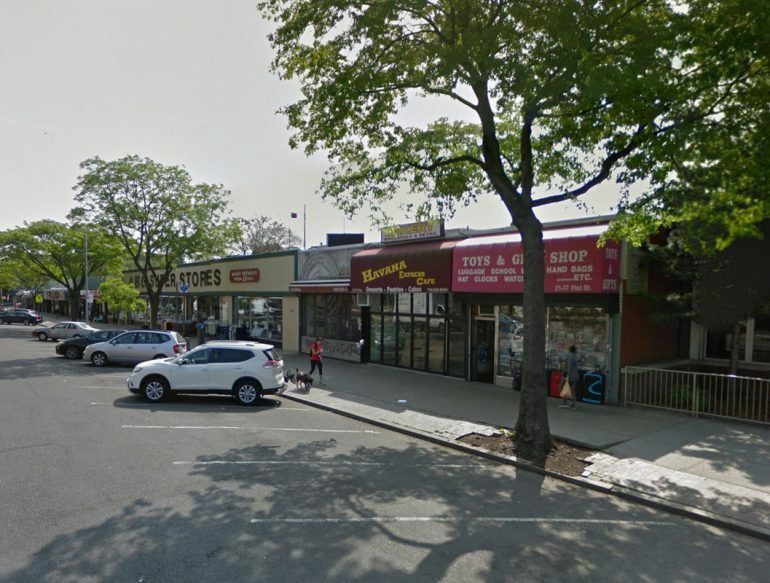 I could see nearby Home Comforts (29-25 Ditmars Blvd), Willow Road (29-24 Ditmars Blvd) and even Buffalo Exchange (29-16 Ditmars Blvd) taking a hit from these two chains that sell home decor, housewares, and inexpensive clothes (Marshalls is an “off-price” retailer). Of course, the hope is that everyone will get along, but this is capitalism. Not much to say here but, wow! 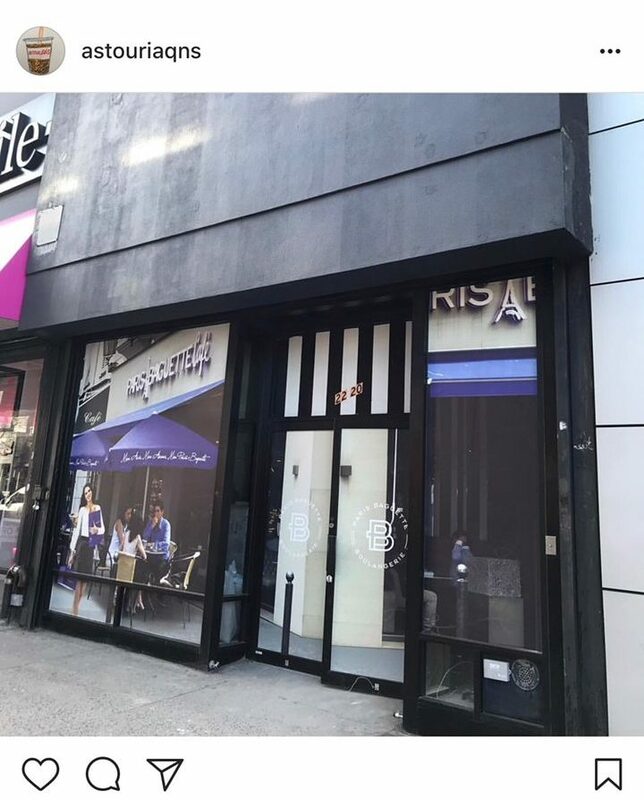 Paris Baguette‘s Asian-Euro baked goods are different enough from Astoria’s beloved Sicilian bakeries Rose & Joes and La Guli, as well as local bagel joints (NYCBCH, Astoria Bagels, Brooklyn Bagels), so I don’t think they will be at risk. 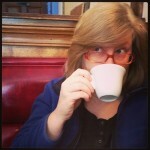 It will certainly add something different to the neighborhood when it comes to bakery goods. That said, they do offer sandwiches and salads, so that’s competition for Create, Subway, and QWNS Cafe. Paris Baguette is opening up in the old Footlocker space that seemed to be for sale for like forever. Look for them at 22-20 31st Street. Walk-in clinic CityMD opens soon in the building that was home to Payless Shoes (see a recent pic from Neverending Astoria). This is a newish building, built after the building that was home to the lovely “31” pizzeria burned down in 2005. In our experience, Astorians really like CityMD, so this should be a welcome arrival to the Ditmars area. We’ll be covering CityMD’s arrival here, so stay tuned. Look for CityMD at 22-48 31st Street. NY YIMBY reported that permits were filed in February 2018 for a new building at 23-61 31st Street. 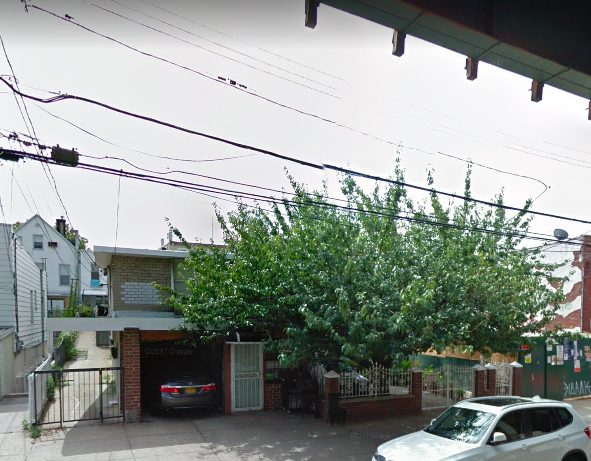 For some time, this location has been home to a sort of funky two-story brick building with a wonderful big tree in the front yard. In its place will be a 70-foot-tall 6-story mixed-use building—6,700 sq ft for residential and 935 sq ft for commercial. There will be 10 units, no on-site parking spaces. Their Plan was disapproved by the DOB on April 11, 2018. 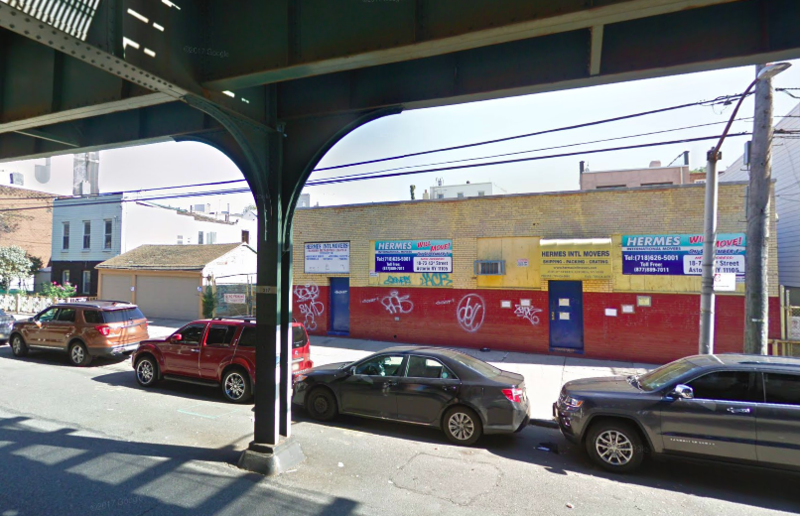 About a year ago The Real Deal reported on a big condo project at 21-21 31st Street. RockFarmer Properties filed plans for a 94,000 square food luxury condo project. Shops from the ABC Superstore to the Steinway Library—that includes the toy store, what I remember to be Havana Cafe (I once had some good cake there while getting an earful of conspiracy theories from the owner), and the beloved Wave Thai (visit the staff over on 23rd Ave at San Aroy Thai if you miss them). Related: we’ve also heard that RockFarmer also bought up the spaces that are home to Thai Elephant, the 99¢ store, El Olivo, and Verdi Fresh, among others. Plan Exam was approved (demolition) for all three properties on 03/13/2018. Hermes International Movers, who have been around since the 1920s, relocated to 18-73 43rd Street. This is terrible, as if Astoria/LIC isn’t crowded enough. yes we need a trade Joe store. Same thoughts. 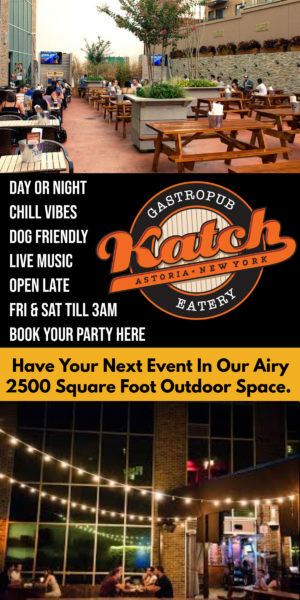 I’ve tried writing letters to the local media, council members, community board, etc, and have never received any response, but at least it lets them know that there are people here who like Astoria’s small-shop diversity. We’re in CB1 ; its meetings are the 3rd Tuesday of each month at 6.30pm, http://www1.nyc.gov/site/queenscb1/calendar/calendar.page (unfortunately, I have a standing commitment every 3rd Tues and have never been able to go). 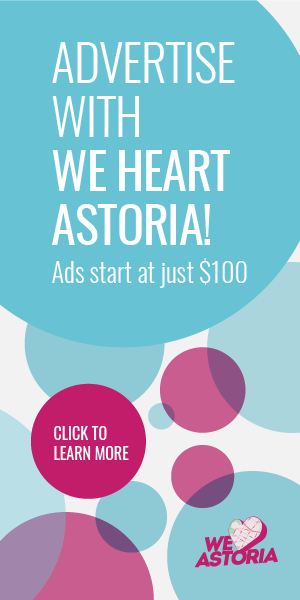 Also, there is Old Astoria Neighborhood Association (http://oana-ny.org), which seems to care about preserving Astoria’s history, instead of solely documenting it. There’s a gathering this Thurs evening. Marshall’s is truly tragic for the neighborhood. We are going to become inundated with crowds in an already crowded area. 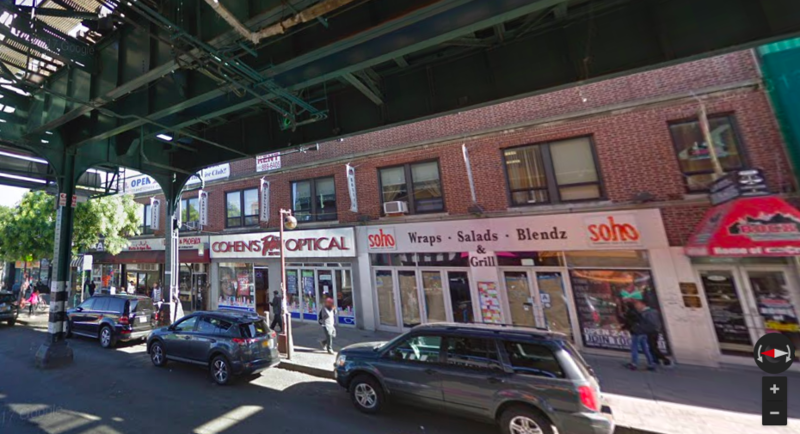 Construction, including the subway at Ditmars will make it a nightmare.